Digital Live MOS sensor delivers the ultimate in LUMIX image quality. 4K/60P video recording support a professional workflow. 6K PHOTO lets you confidently capture moments otherwise left to chance. 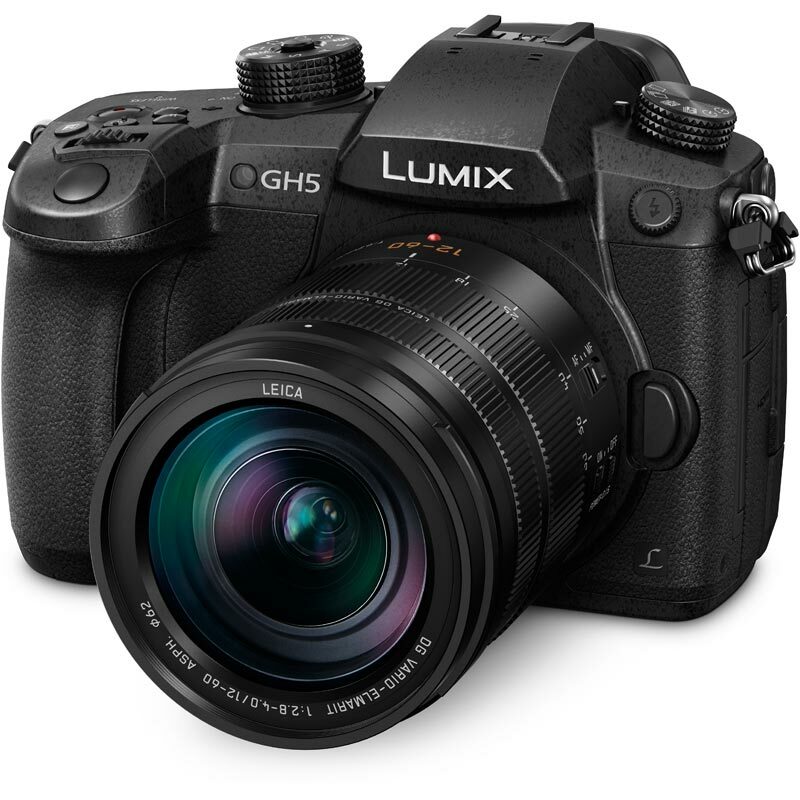 Explore new dimensions of photography and videography with the LUMIX GH5. There were cases where the time code was reset when the battery was replaced. This bug has been fixed. There were cases where the intended frame was not cut out of the footage in 6K PHOTO/4K PHOTO. This bug has been fixed. AF tracking performance in video recording has been improved. There were cases where peripheral distortion occurred in video recording while walking when used with Panasonic wide zoom lenses (H-F007014, H-E08018). This bug has been fixed. [Live View Boost] has been added, which makes it easy to check the composition on the monitor in low-light environment. [Night Mode] has been added, which reduces glaring on the screens when recording in low-light environment. Maximum 20x enlarged view is available in [MF Assist]. [Power/Wireless Indicator] has been added in [Setup] menu, which enables turning off the status indicator and wireless connection lamp. [Like 709],[V-LogL*] and [V-LogL View Assist*] in Photo Style can be used in photo shooting. [LUT Monitor Display*] and [LUT HDMI Display*] can be used in playback mode. Focus Ring Lock], [E-Stabilization(Video)], [Mic Rec Level Disp. ], [Live View Boost],[Night Mode] and [L.Monochrome D] can be assigned to the Fn button that works in recording mode. [LUT Monitor Display*],[LUT HDMI Display*] and [Night Mode] can be assigned to the Fn button that works in playback mode. Restarting time from sleep mode has been shortened while using Image App and Bluetooth connection. Remaining battery status is indicated by 1/4-gauge, indicating approximately 25% per gauge.